The 4th and Inches crew are at it again, this time focusing in on our AFC East opponents! Some of the Patriots, Bills, and Jets dirt in this episode will SHOCK you to your very core! 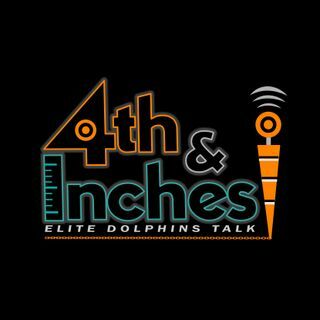 Whether you are a #MiamiDolphins fan or not, you won't want to miss out on the absolute bombshells that were dropped on this week's show! Come for the secrets, stay for Vero's rant about BITERS that have been trying to co-opt the show's edgy style, and more. Be patient enough to hang around to ... See More the end, and you might even get treated to some wonderfully awful jokes as a bonus. -- Episode 10 was another fun one, and it leaves just one more show before the REGULAR SEASON begins!! !